Aloha! I have had the day off work & it has been very cloudy – what a surprise! 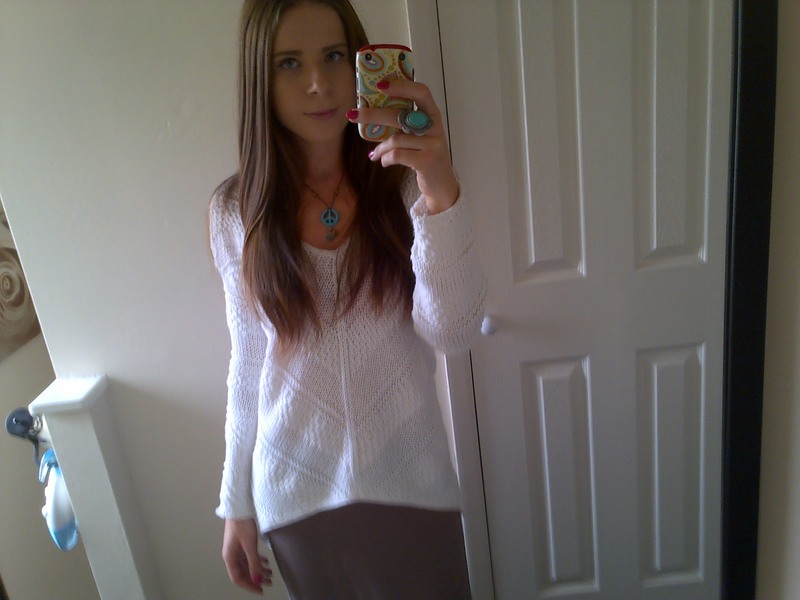 I chose to wear a sweater since it was a little chilly, I teamed it with a maxi skirt for a relaxed, bohemian look. The good news is the sun is supposed to be back tomorrow & I am off work again! I’ve been busy uploading new additions to my Etsy store, Honu Moku. 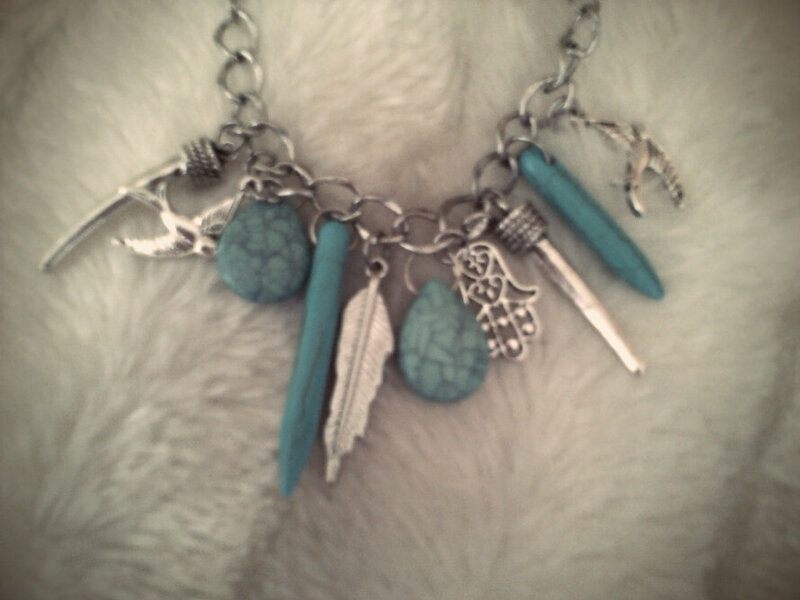 The necklace shown above is not up for sale yet but it soon will be so watch out for that! love the necklaces, do you make them yourself? I do sometimes make them myself too but then I buy a ready-to-make set! Thank you, Marija! You are so sweet!